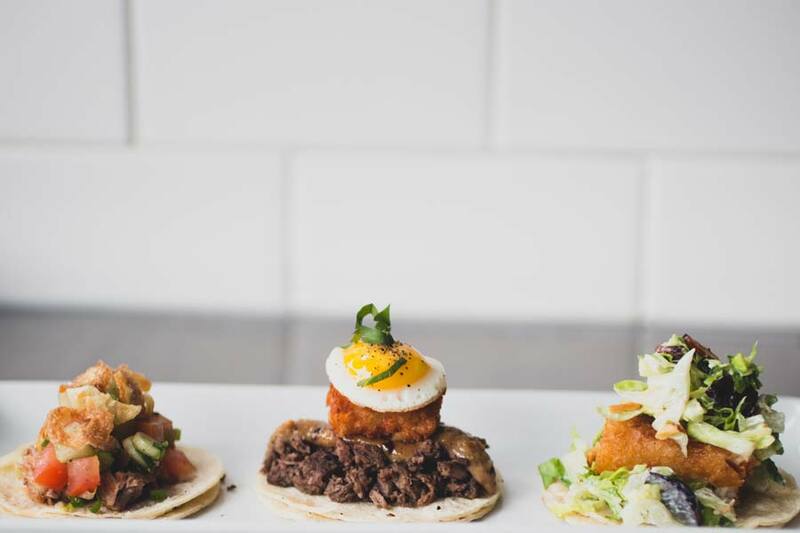 Ramen burgers, kimchi fries and pho tacos. Stinky tofu. Spiral-cut fried potato skewers sprinkled with a variety of seasonings. And balls — lots and lots of balls: curry fish balls, fried yam balls, takoyaki squid and octopus balls, kimchi fried rice balls with DMZ sauce, gourmet rice balls with honey Sriracha, crispy tofu balls covered with Vietnamese green crisped rice and spicy orange aioli. Truly, the wealth of options at an Asian American night market can be overwhelming for an attendee. After all, we only have one stomach. Last October’s OC Night Market — the latest extension of the 626 Night Market that has since branched out from Southern California’s San Gabriel Valley (home of the 626 area code) into downtown Los Angeles and Orange County — was filled with over 200 vendors competing with each other for the attention of 60,000 potential customers. Sometimes that involved shouting Korean BBQ menu items from a loudspeaker or flashing eye- catching disco lights; sometimes it took three half-naked Asian girls encouraging onlookers to buy delicious Vietnamese coffee. But the most effective and envied form of attraction was a long line of customers, signifying the food must be worth the wait. Though many Asian countries have their versions of outdoor food markets — from Singaporean hawker centres to Korean pojangmacha — the term “night market” was popularized in Taiwan, where these nighttime food markets still remain a key attraction for foreign tourists visiting the country, eager to experience the noisy atmosphere, crowded food stalls, mouth-watering smells and cheap eats that you consume on the spot (or while walking in search of your next snack). According to Taiwan’s government information site, food bazaars that operated at night in ancient China were originally called ghost markets, and contemporary-style night markets began to appear in Taiwanese cities during the turn of the century, when the government actively set aside blocks of streets for permanent night markets. For Asian immigrants and their second-generation children, night markets elicit fond memories. “I always remember visiting the night markets with my family and friends to eat all different kinds of food,” says Jonny Hwang, the founder of 626 Night Market, who was born in Taiwan but immigrated to the U.S. when he was a child. So when his family relocated to Alhambra, a suburb of Los Angeles with a large Chinese and Taiwanese immigrant population, he wondered, why didn’t they have one? Hwang had heard of a couple successful night markets in Vancouver, as well as previous attempts to start a night market in Southern California that didn’t work out. Assuming it had to do with the challenges working with health departments and government agencies, he and his partners went straight to different cities of the San Gabriel Valley with a night market proposal, figuring that if they had the government backing them, the entire process would be a lot easier. Pasadena was the only place that was interested, because they happened to have an initiative to attract more Asian businesses to the area. So the very first 626 Night Market was scheduled for April 2012, with plans to shut down a couple streets in Old Town Pasadena for the event. Hwang’s team was optimistic that they could get 8,000 attendees, but the Pasadena special events folks, who had years of experience planning signature events like the Tournament of Roses parade, tempered their expectations. As first-time organizers, they’d be lucky to get 500 people to attend, they were told. But come event time, Hwang says the team had mobilized hundreds of thousands of people — many of whom ended up stuck in long lines, trapped in walkways like sardines or unable to even get in. “If we had gotten 8,000 to 10,000 people throughout the day, it probably would have been OK,” says Hwang. “But people were coming from Orange County and Riverside, and all the way from San Diego and Las Vegas.” The surrounding freeways and side streets were packed. A police chopper had to monitor the traffic jams and crowds from above. Though it seemed like a disaster to attendees (many of whom blasted the event through angry Yelp comments), business-wise, it was a huge success. Vendors were happy because they all sold out, and most importantly, it proved that there was a huge demand for a night market. The 626 team learned a lot of things, and soon, the other cities that had originally shunned their proposal came knocking. Though 626 Night Market was not the first night market in America — Night Market Philadelphia, for example, though not focused on Asian cuisine, began in 2010 — it has made the biggest impact. Shimamoto now has a brick-and-mortar of sorts, offering The Original Ramen Burger at a take-out window in Los Angeles’s Koreatown. Tonight, he’s hanging out at the adjacent Lock and Key bar with his fellow night market veteran friends, Phillip and Carol Kwan of Mama Musubi (who specialize in a gourmet version of onigiri rice balls, a popular Japanese snack) and Matthew Hui of Fluff Ice (a Taiwanese-inspired snowflake ice that takes flavored ice blocks and shaves them into what they call “frozen cotton candy”). They’re celebrating the end of another busy and successful night market season. Since 626 debuted, night markets have opened up in other areas of Southern California, like Koreatown and Little Saigon in Westminster. Hwang himself was contacted for advice or collaboration requests from groups who wanted to start their own night markets in San Jose, San Diego and St. Paul. 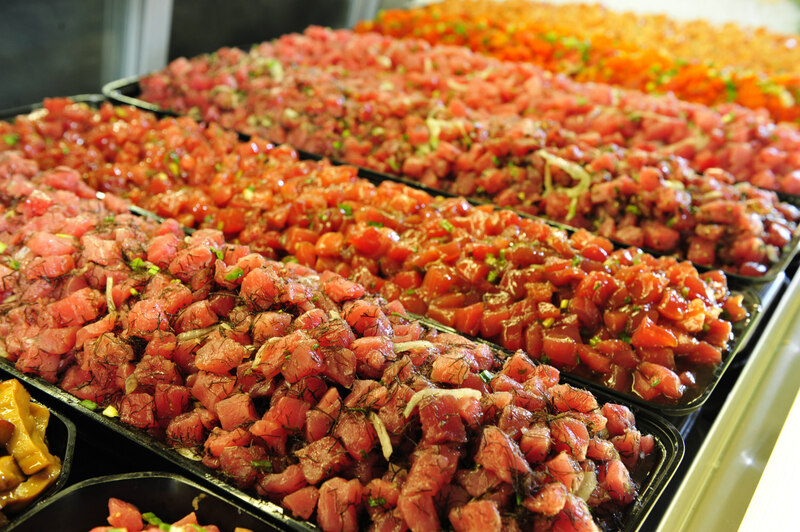 There are now night markets in Seattle, Honolulu and New York, and the list goes on. Even the team behind Studio City’s Sportsmen’s Lodge 1st Thursdays Night Market, who Hwang remembers jokingly called themselves “the white night market,” wanted in on the action. Now, you might be thinking, isn’t a Caucasian night market just … a fair? Like every single county fair in America? But this was just an indication of how the term “night market” was catching on. It had looped back into the mainstream. While 626 Night Market also had creative entertainment to go along with the food — Asian American performers, live art battles, eating competitions and the unveiling of the new Guinness World Record for the largest cup of boba milk tea — KTOWN Night Market made use of their Korean American showbiz connections, bringing together high-profile food celebrities, like the guys behind Seoul Sausage Company, who won Season 3 of the Food Network’s The Great Food Truck Race, as well as musicians like rappers Dumbfoundead and Shin-B. Six months later, KTOWN Night Market also hosted a Halloween Food Fest, where there were costume contests and carnival rides. 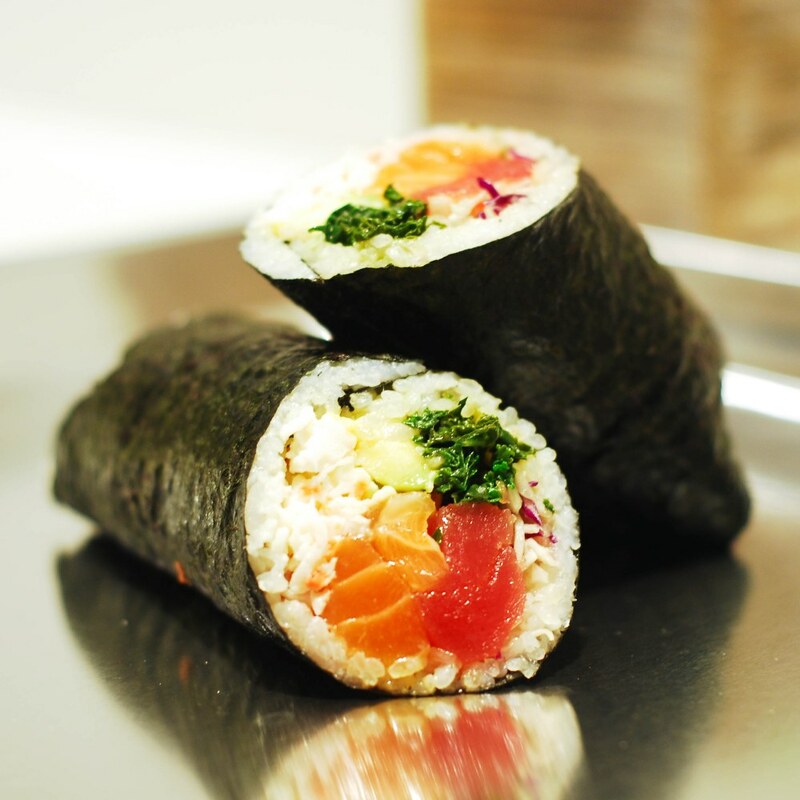 The Kwans launched Mama Musubi at the first 626 Night Market in 2012. The brother-and-sister duo wanted to test the market and see what people thought about fresh Japanese rice balls. Would people get their gourmet version — with 24-hour braised Berkshire pork belly — or would they assume it was the same as the refrigerated kinds you can get at Mitsuwa supermarkets? Turns out, there was excitement for rice balls not only in the night markets but in non-Asian markets like the Altadena Farmer’s Market, where they are regulars. But though they work these markets and also cater, their ultimate goal is to launch their own store. 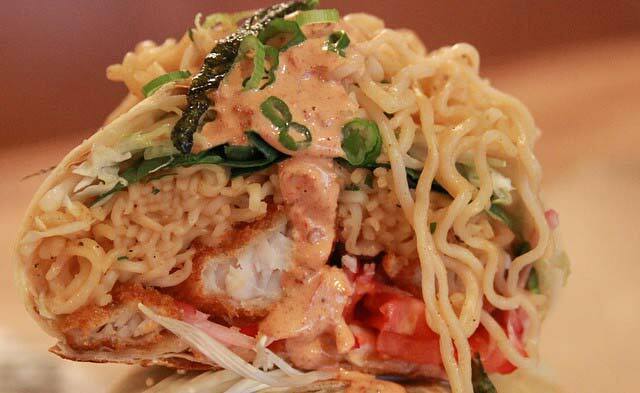 Similarly, The Original Ramen Burger started participating in night markets in Los Angeles because California foodies were asking for it. 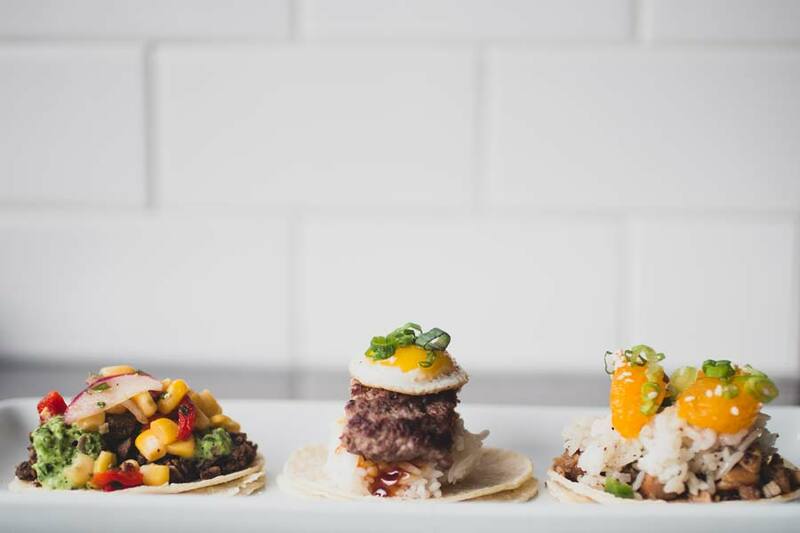 They do pretty well, but they see night markets as a transition into eventually running four to five restaurant franchises. Even Fluff Ice, which already had a store in Monterey Park when 626 first opened, found that attending night markets is just a good way to network, advertise and grow your business. “There’s just so many layers of income you can get with a business like this, whether it’s night markets, school fundraisers or Hollywood catering,” says Hui, who has catered for How I Met Your Mother, Parks & Recreation, The Office and the upcoming film Paranormal Activity 5. They now have four locations in Southern California. But these Asian American night markets aren’t without its skeptics. In Taiwan, you go to the night market because you’re craving certain foods, whether it be oyster pancakes, ba-wan (Taiwanese meatballs wrapped in gelatinous dough) or aiyu jelly drinks. You’re also expecting a certain atmosphere — makeshift stalls where you see and smell the food being prepared right in front of you — and a certain experience, a.k.a. cheap stuff, whether it be food, shopping or games. That said, for every food item that’s worth waiting for in the night market lines, there are many, many more that are underwhelming and overpriced. It’s also hard to tell whether something is innovative or just gimmicky, and with so many copycat renditions of almost the same idea (there’s a reason Ramen Burger changed its name to The Original Ramen Burger), it’s tempting to assume the latter. But one can only hope that the truly tasty, fusion or not, rises to the top — that the prevalence of night markets are giving those gems a place to grow and a community of like-minded food fans a place to gather. So did Hwang ever imagine that the 626 Night Market he created would become such a cultural touchstone? The chef at a three-Michelin-star eatery in Brooklyn dictated that lesser pieces of meat be given to Asian customers and Upper West Siders, a new lawsuit charges. César Ramirez of Chef’s Table at Brooklyn Fare — which charges a flat $255 per person plus a $50 “service charge” each — was blatant about his biases, according to the suit filed by some of his former sous chefs and servers. He openly prohibited Asian customers from being placed too close to him at his section of the Downtown Brooklyn restaurant’s chichi counter, routinely referring to them as “s- -t people,” ex-server Emi Howard alleges in the suit. And when it came time to distribute cuts of meat during the fusion French-Asian meal service, Asians — along with suspected Upper West Siders — were given inferior scraps, while preferred diners were given choice chunks, the suit says. “When a large piece of meat was cut into many pieces for the guests, Defendant Ramirez instructed Ms. Howard to give the worst pieces of meat to the ‘s- -t people,’ i.e. Asian people, and to Upper West Siders,” the suit states. When an Asian patron was once placed close to Ramirez during one of his culinary cabarets, the chef boiled over with rage at Howard, who is Asian, the document states. “On one occasion, Ms. Howard ‘violated’ Defendant Ramirez’s discriminatory rule by seating Asian individuals close to his spot at the center of kitchen counter,” the suit states. Howard and four other former employees also accuse Ramirez and owner Moe Issa of cutting them out of tips and bilking them out of overtime pay. The plaintiffs claim in the suit that the restaurant automatically charged a 20 percent gratuity for each bill but that servers never saw a dime of those $50 tips. They also say Issa and Ramirez refused to pay staffers overtime, even when they worked more than 70 hours a week. Howard and fellow axed staffers Kyle McMahon, Loren Mash and Santos Hernandez are seeking unspecified back pay and damages. Ramirez refused to comment Monday night. Issa said in a statement that the restaurant was an equal-opportunity environment. SlapFish, the former food truck turned restaurant, is an Orange County-based seafood establishment in Southern California. 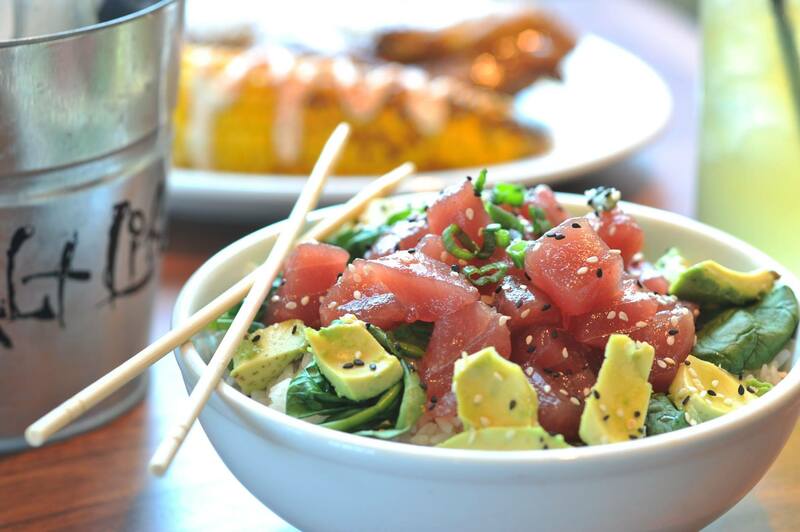 The fast-casual restaurant is known for their sea-fresh menu, following the motto, “From Boat to Plate.” SlapFish is taking a page from the recent craze of stuffing ramen into your food with their new Black Cod Ramen Burrito. Ramen got cool again, right? 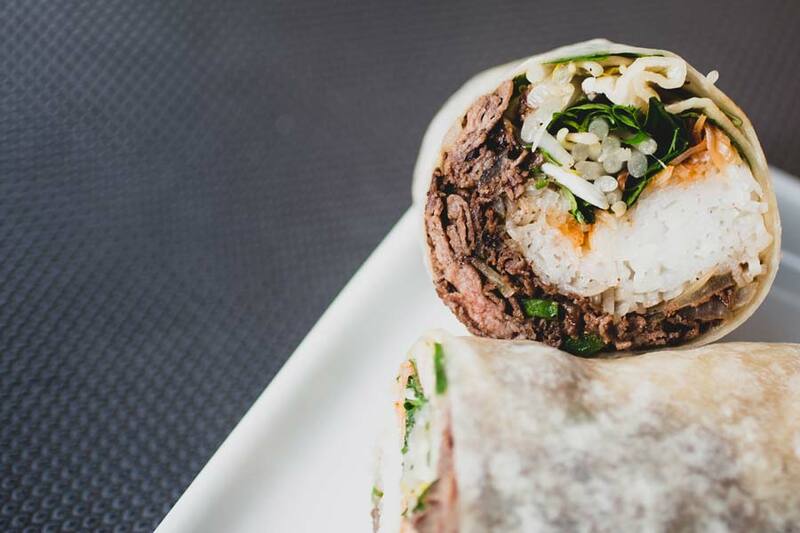 An Instagram peek gives us a look at the upcoming burrito, which features crispy black cod, lettuce, hot sauce, scallions and, of course, ramen noodles. They’re essentially swapping out rice as a starch and replacing it with ramen noodles. We’re sure this baby is also stacked with other goodies that aren’t noticeable in the video. 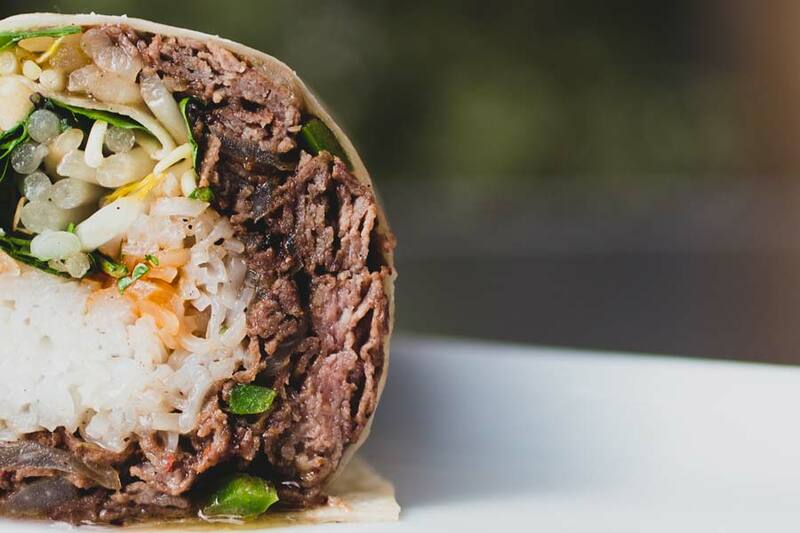 Now we’ve seen Ramen Burritos before, but damn if this doesn’t look glorious. We’ll keep you posted when this baby officially comes out.